A classic Freeman with the benefit of a new canopy with easier access, engine last serviced 2019 and all seats have been replaced in 2018! New recon type 9 gearbox fitted 2016 and the BSC Until May 2022. Also cleaned and anti fouled last June 2018! 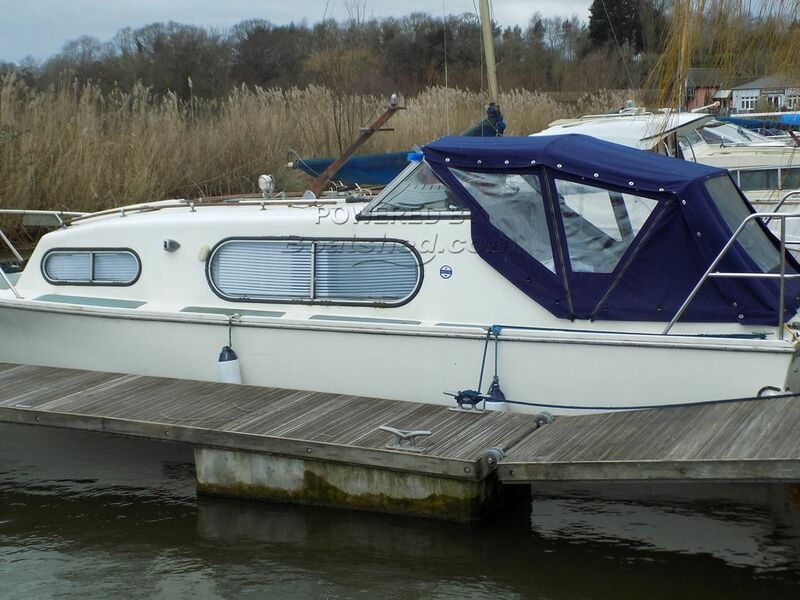 A great first time buy for inland and estuary cruising. This Freeman 23 has been personally photographed and viewed by Geoff Jaquest. of Boatshed Norfolk. Click here for contact details.